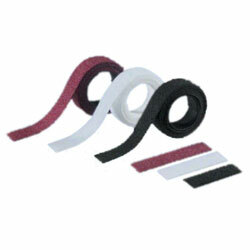 Tak-Ty Hook & Loop Cable Tie - UL Listed 18.0" length, .75" width, Standard, Strip style. Hook on one side and loop on the other, so it adheres to itself. Wrap around bundle and secure end of tie on the body.